Masada was the mountain fortress constructed by King Herod that was occupied by Jewish rebels after the Jewish revolt in the first century. 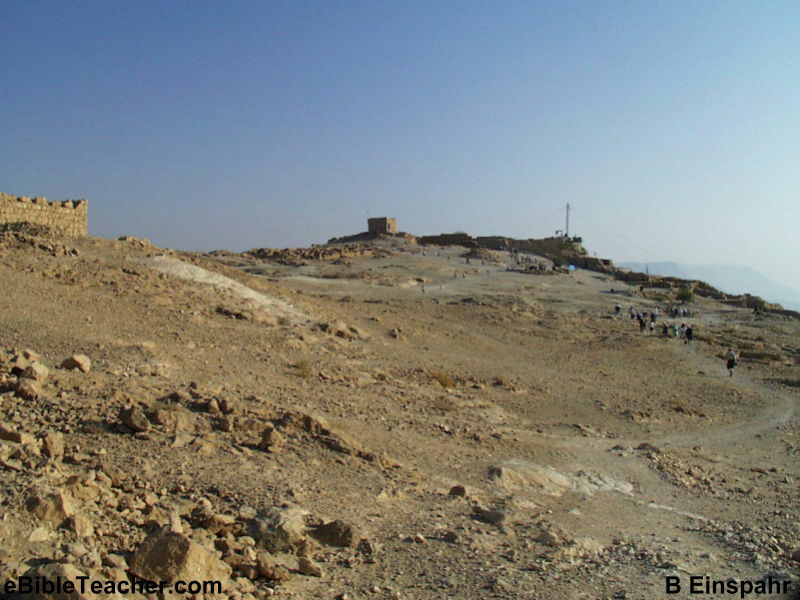 The rebels defended themselves from a Roman army for months. 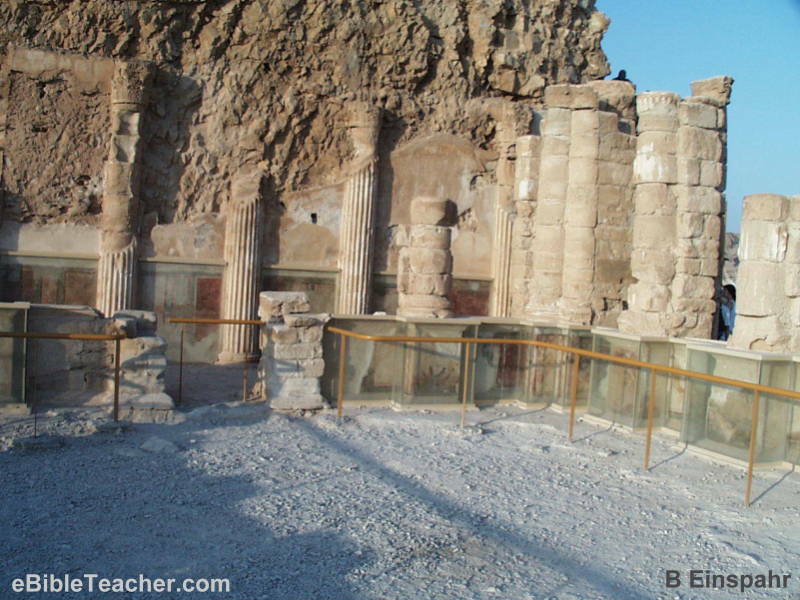 When it appeared that the Romans would finally conquer the fortress hundreds of rebels committed suicide rather than be taken prisoner by the Romans. 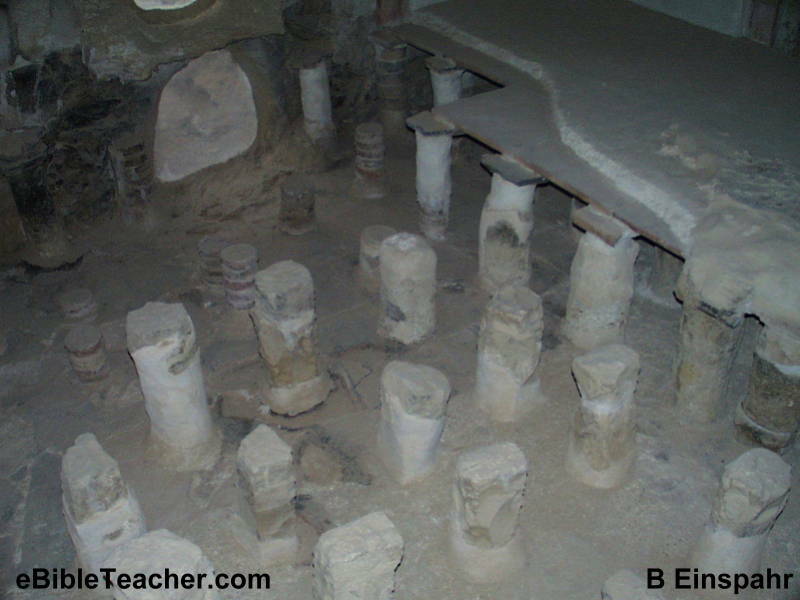 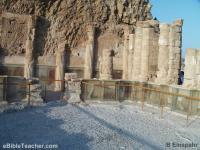 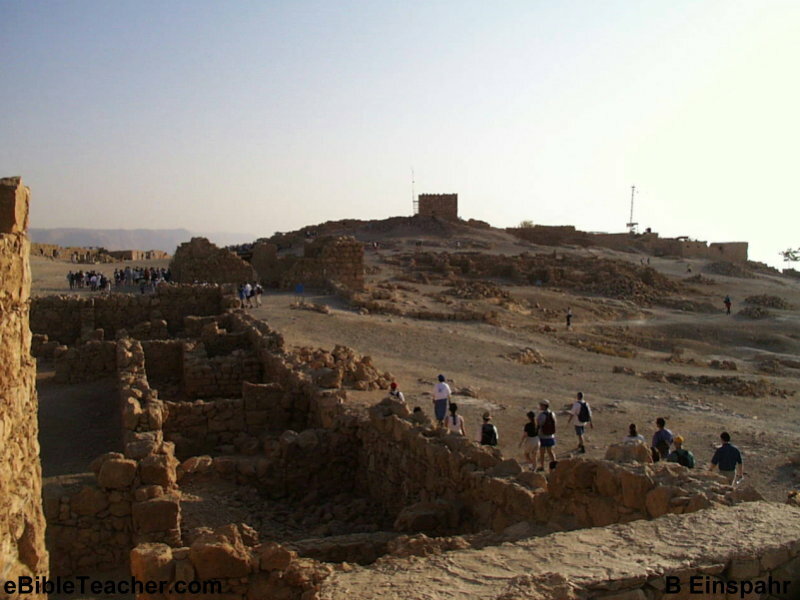 Although this fort is not mentioned in the Bible it does give insight into the Roman military method as well as the life of King Herod and his construction. 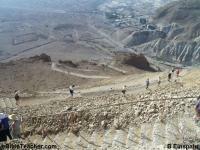 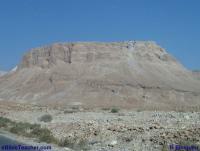 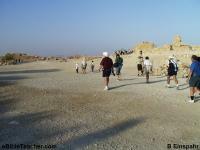 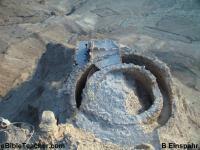 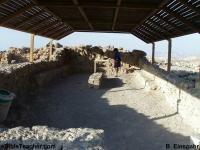 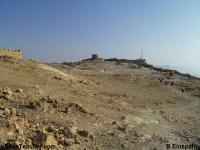 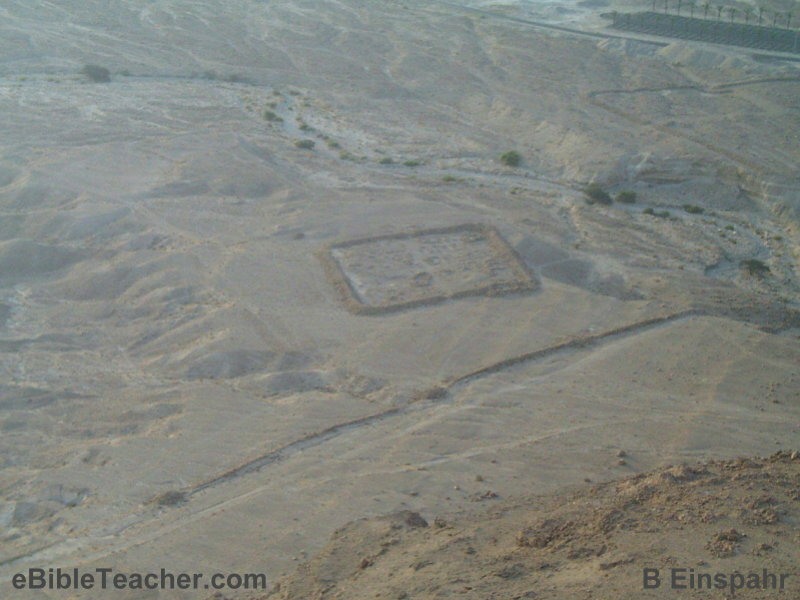 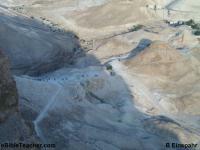 This is a view of the Roman military camp as seen from the mountain fortress of Masada. 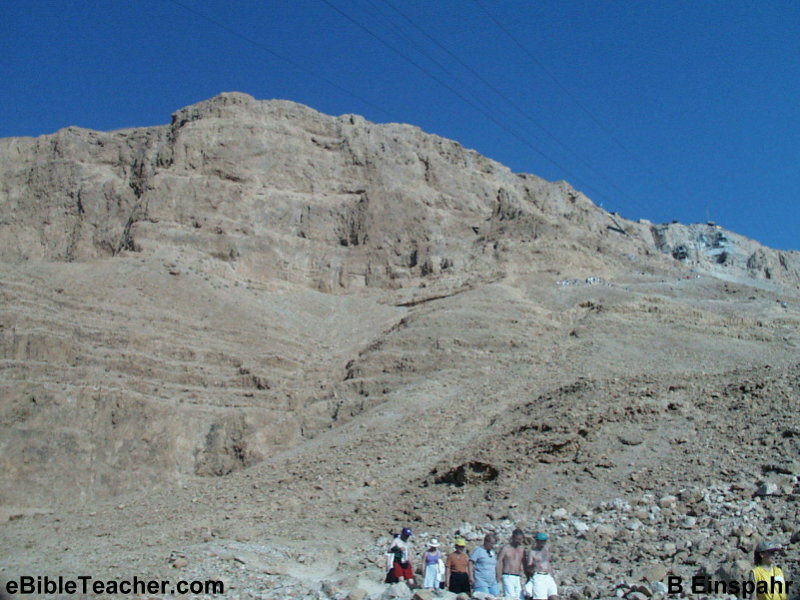 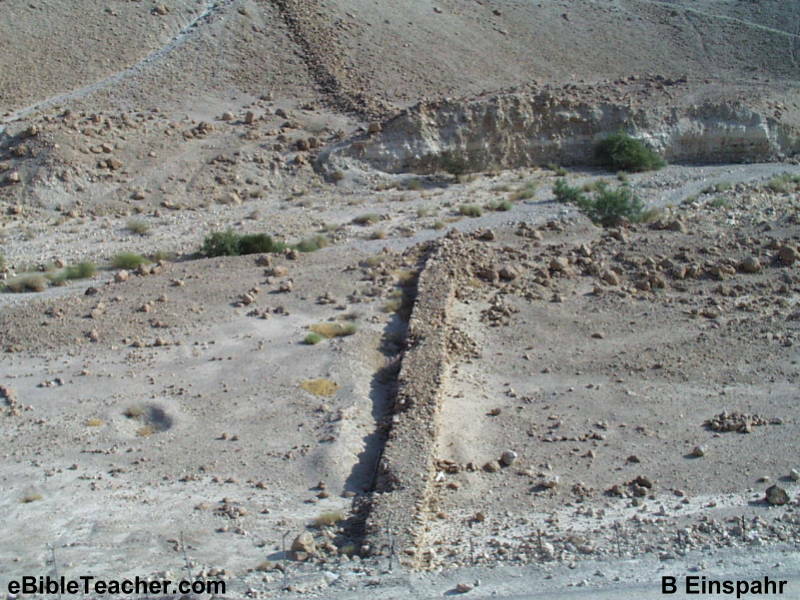 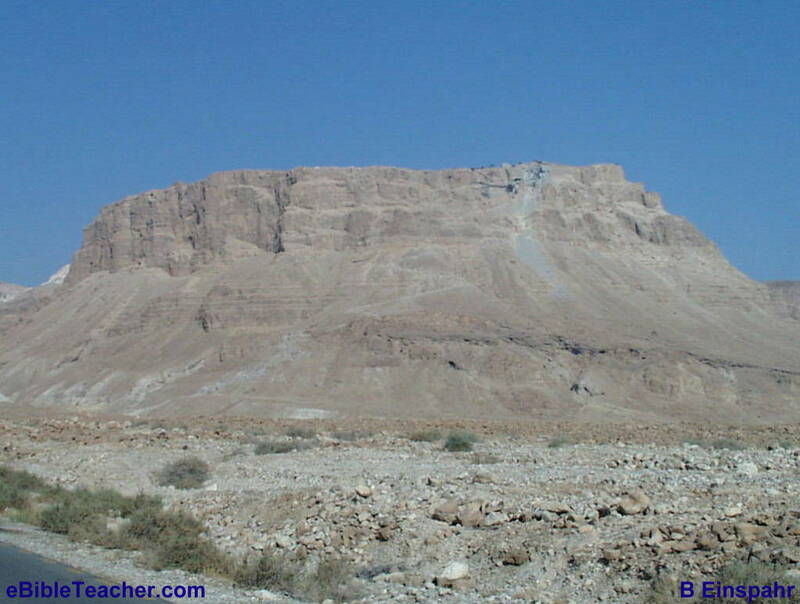 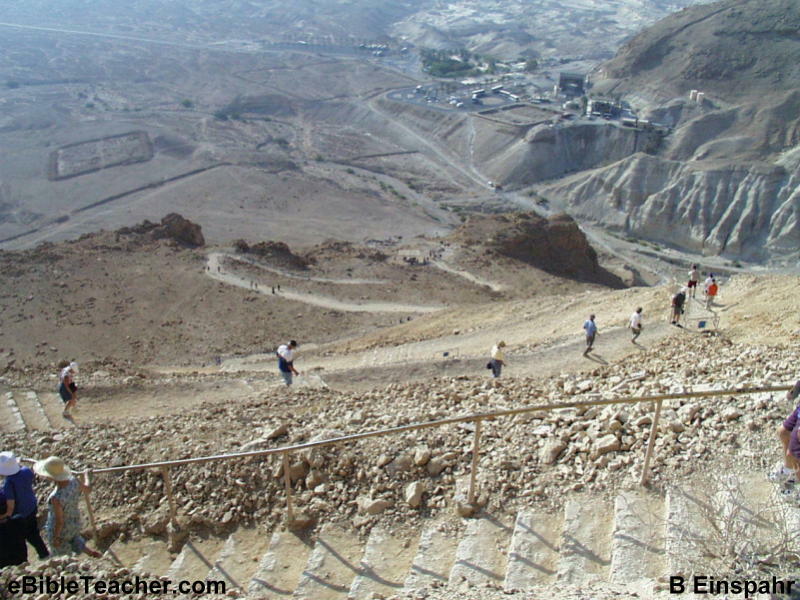 The slopes of Masada were too steep for the Roman army to scale with their siege equipment so they had slaves work for months to construct this rocky ramp up the side of the mountain fortress. 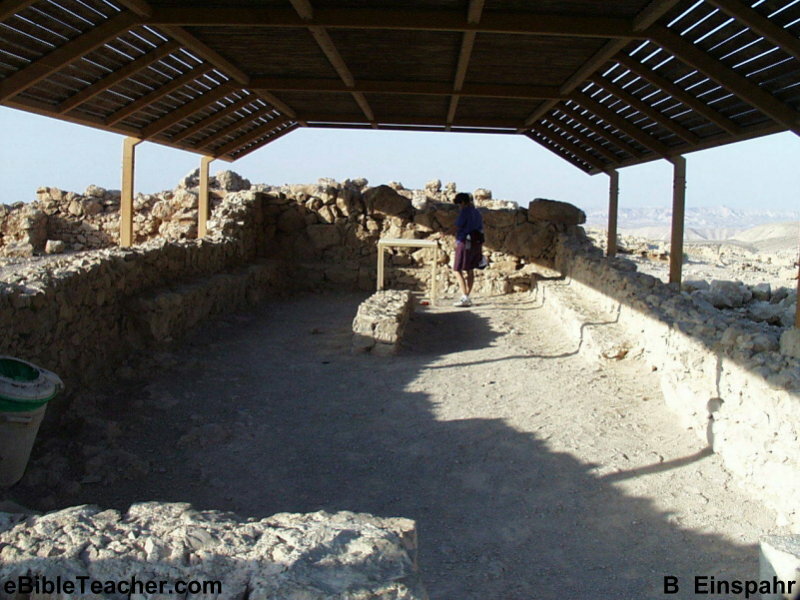 Masada Top The top of the mountain fortress provided a fairly large area for construction of the living area of the fortress. 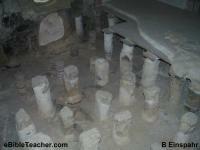 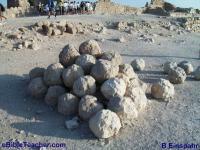 These stones are examples of the stones hurled at the Masada fortress by the Roman army. 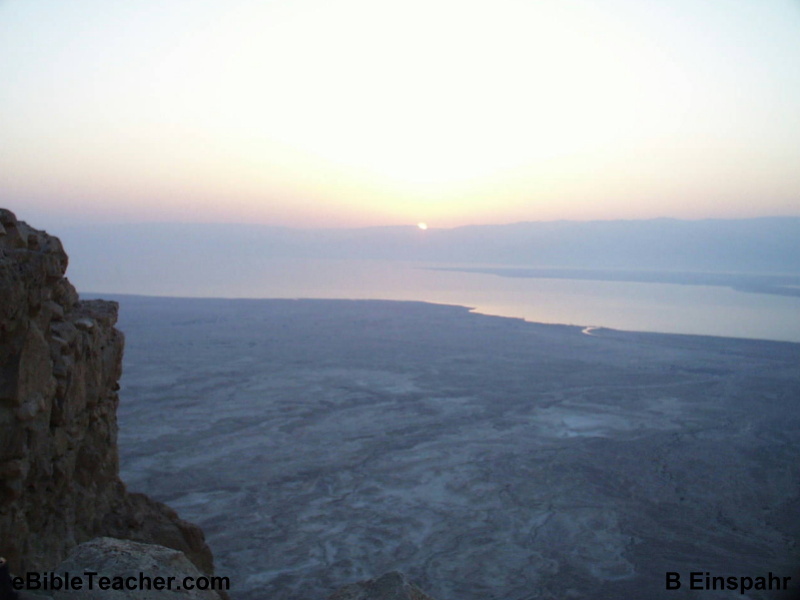 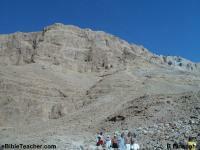 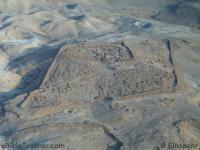 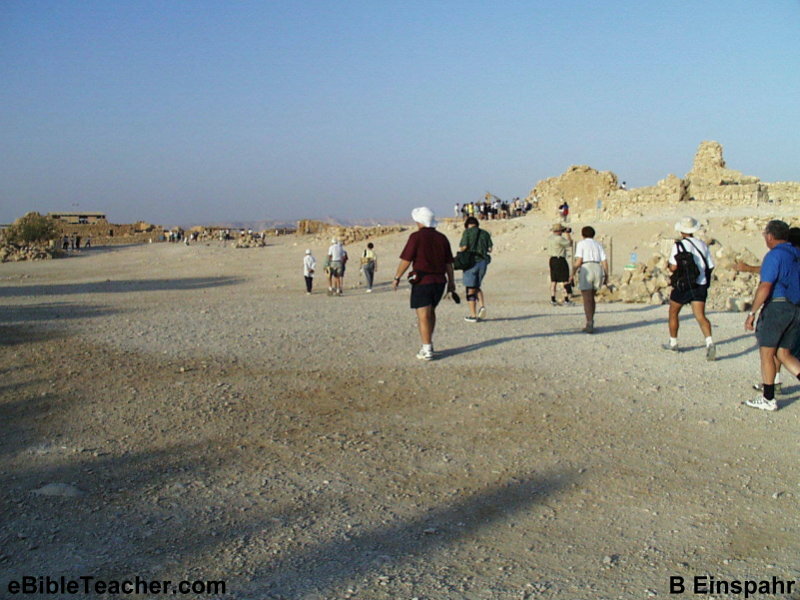 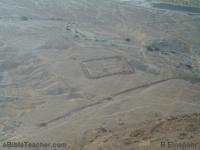 This is a view of the Roman army camp from the top of Masada.